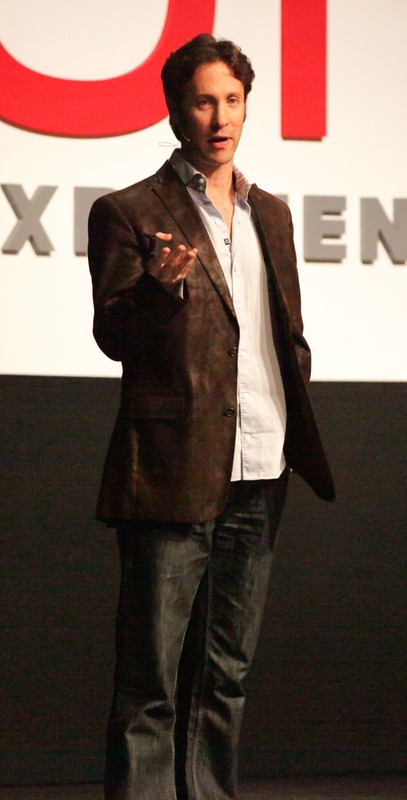 The UP Experience is pleased to welcome back Dr. David Eagleman, neuroscientist, best-selling author, and our beloved UP Master of Ceremonies for the fourth year in a row. Dr. Eagleman holds joint appointments in the Departments of Neuroscience and Psychiatry at Baylor College of Medicine. His areas of research include time perception, vision, synesthesia, social neuroscience, and the intersection of neuroscience with the legal system. Highly regarded in his field, Dr. Eagleman travels the world to speak about his research, insights, and neuro-discoveries. He is the founder and director of Baylor College of Medicine‘s Initiative on Neuroscience and Law, and he directs the Laboratory for Perception and Action. Additionally, Dr. Eagleman is a Guggenheim Fellow as well as a council member in the World Economic Forum. An international best-selling author, he has written both fiction and nonfiction works, including Sum, Wednesday is Indigo Blue, Why the Net Matters, Incognito, LiveWired, and Cognitive Neuroscience. He is also a regular contributor to The New York Times, Atlantic, Wall Street Journal, Discover, Slate, Wired, and New Scientist. Dr. Eagleman was recently featured on the cover of Italy’s Style magazine, where he was named one of the "Brainiest, Brightest Idea Guys for 2012." We couldn’t agree more! To see Dr. Eagleman in action as he facilitates discussion with each of our presenters and also gives us a glimpse of what he’s currently working on, sign UP today. The UP Experience is an annual thought-leader conference held one day each October in Greater Houston, featuring domain-expert speakers from every area of work and culture. The purpose is to inspire, entertain and challenge by offering unique perspectives from unique people. Speakers are hand-selected for their expertise and ability to communicate passionately and succinctly. The UP Experience schedules time for attendees to meet and talk with all speakers. This is the only conference of this breadth and quality offered on America’s South Coast.